Nestled between the Maluti Mountains and the Drakensberg Mountains, Harrismith is a beautiful, historic town in the Eastern Free State on the border of Natal. Harrismith is centrally situated halfway between Johannesburg and Durban. At Amadudu Guesthouse, we provide friendly and personal service to our guests and our rooms are equipped with luxurious linen and excellent quality mattresses, with coffee- and tea tray, hairdryer, alarm clock and electric blankets in every room. We have free wireless internet facilities and security is excellent with safe parking for cars, trailers and caravans. It is our wish that from the moment you step into Amadudu you will feel welcome and right at home! Miles away from home, worlds away from ordinary. People are our passion and therefore we would like to welcome you at our Guest House here in Harrismith, nestled in the Drakensberg Mountains of the Eastern Free State! It is our wish that from the moment you step into Amadudu you will feel welcome and right at home. We have made every attempt to equip our guest house with everything you might need to make your stay memorable, enjoyable and comfortable. Hospitality is what comes naturally to us - entertaining people and connecting with the hearts of our visitors. We have always wanted to extend this passion beyond our own home, and this is what Amadudu Guest House is all about! 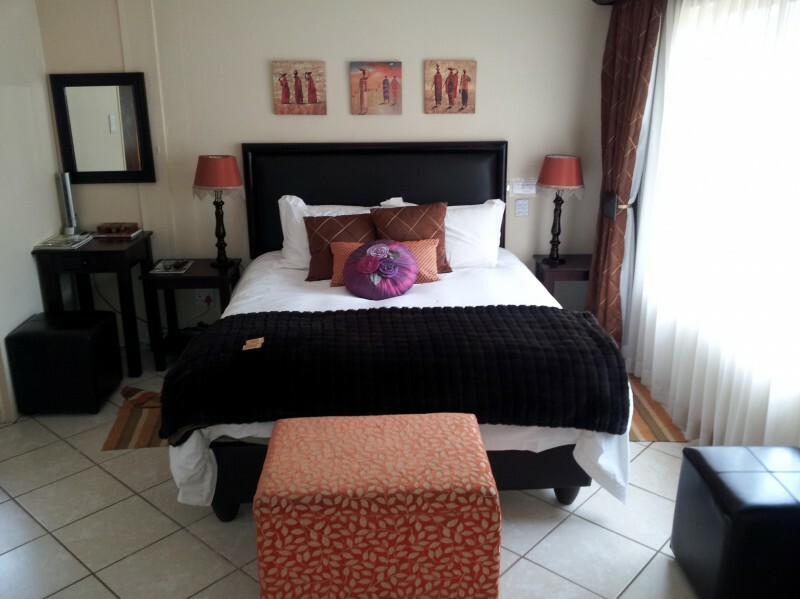 We want you to have an unforgettable experience at this Harrismith accommodation. Apart from people we have a serious passion for good food! We believe that mornings should be filled with the aroma of freshly brewed coffee and homemade muffins. To make this a memorable experience for you, we put a lot of effort into the preparation of our food. At Amadudu every breakfast is made with love. Breakfast is the most important meal of the day, but on request we also prepare delicious dinners and delectable desserts. We would love to share this experience with you, our special guest! Rosalina and Nelly will keep the house and your room neat and tidy, Petrus will keep the garden ready for your enjoyment and the owners, Etienne and Nolene, will do just about everything else to make your stay memorable. 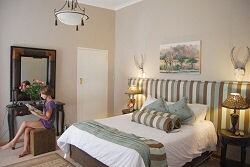 You will always be the centre of our attention at this Harrismith accommodation . That you will feel so pampered that you would want to return!